So with the 'how it started' bit out of the way, I'm going to jump to the present. 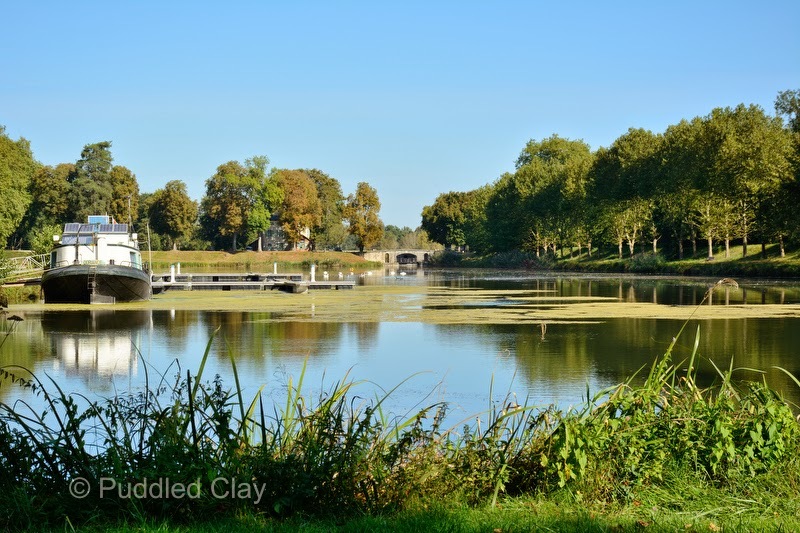 We've just had a week on the Canal Latéral à la Loire, from Briare to Dompierre. This is a bit of history about the Briare end, but as other people have done much more in depth articles, this is a summary. 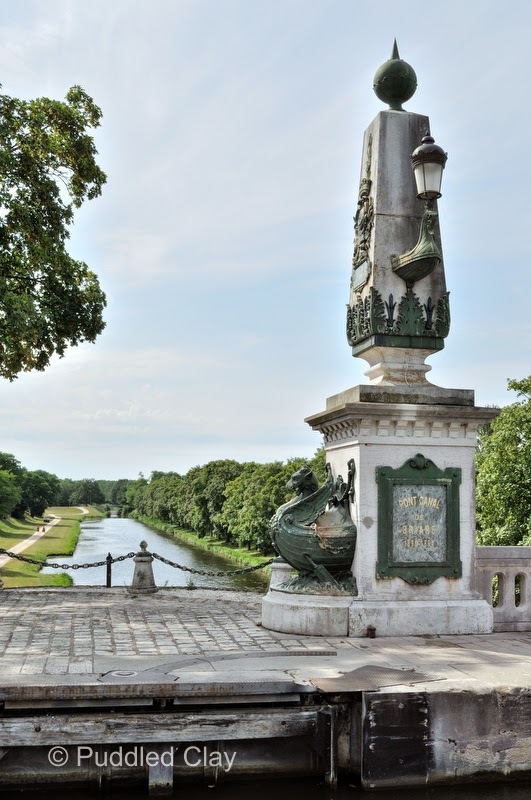 Before the Pont-Canal de Briare (the aqueduct) was built, commercial boats had to go from Briare down the 'parallel to the Loire' canal to les Combles, from there, in low water the boats could be hauled across into a man-made channel running diagonally 1km, to Mantelot. In high water it was a different kettle of fish, as boats had to be hauled 800m up the Loire and then get themselves across to the Mantelot lock by means of anchors. This was not only dangerous but time consuming, taking up to 6 hours just to cross the river, as well as waiting time for a 'slot' or for safe water levels. In 1880, the crossing was made a little easier with the introduction of a steam tug, but there were still long waiting times. With technology improving at last it was decided that an aqueduct could be built to cut out that stage, and it was opened to traffic in 1896. Before this there was an annual average of 10 shipwrecks - I don't know how many lives were lost. 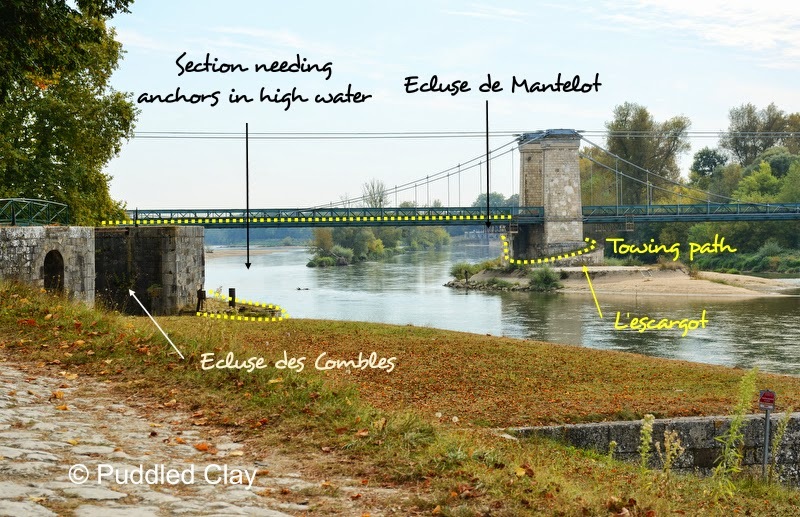 The suspension bridge at Châtillon-sur-Loire is notable as it has a spiral towpath called l'escargot (the snail) on one pillar which allowed the towing power (horses, men) to get to the new towpath level. Today it's possible to to see the old canal route which runs alongside the new canal for much of the way, and indeed moor above the lock at Mantelot (a lovely little basin if a bit weedy!). This very ornate structure is often wrongly attributed solely to Gustav Eiffel - although he was responsible for the masonry, the steelwork was completed by the metal construction company Daydé & Pillé, and the chief engineer was Léonce-Abel Mazoyer . 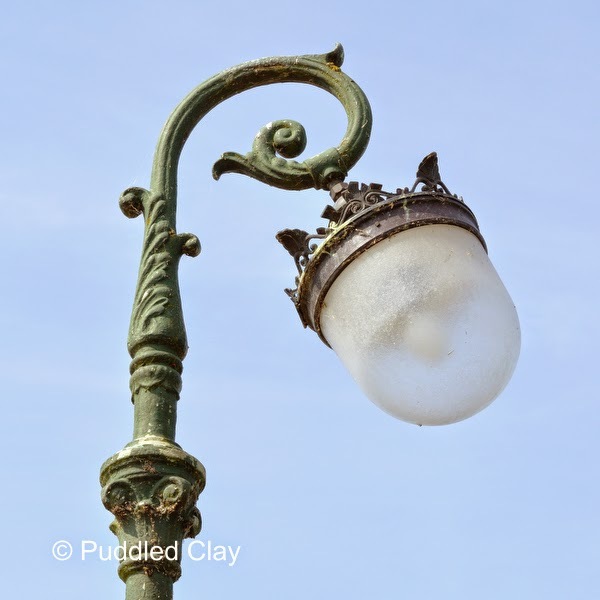 There are two very ornate pillars at each end of the channel, and each side lined with lamps. 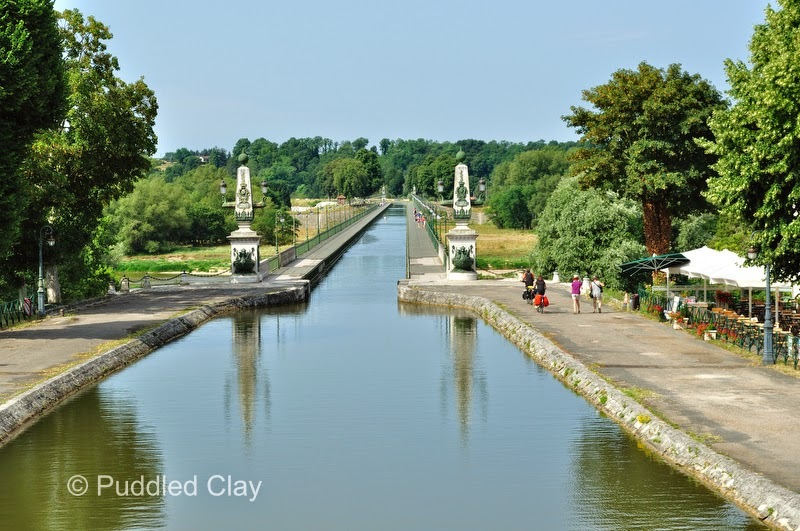 In the picture below the old canal can be seen heading towards les Combles.